Bigger isn’t necessarily better when it comes to creating your favorite dishes as this compact electric range by Danby can attest to. A space-saving 24 inches in width, this fashionable 220-volt model is ideal for smaller living areas including cottages and apartments. 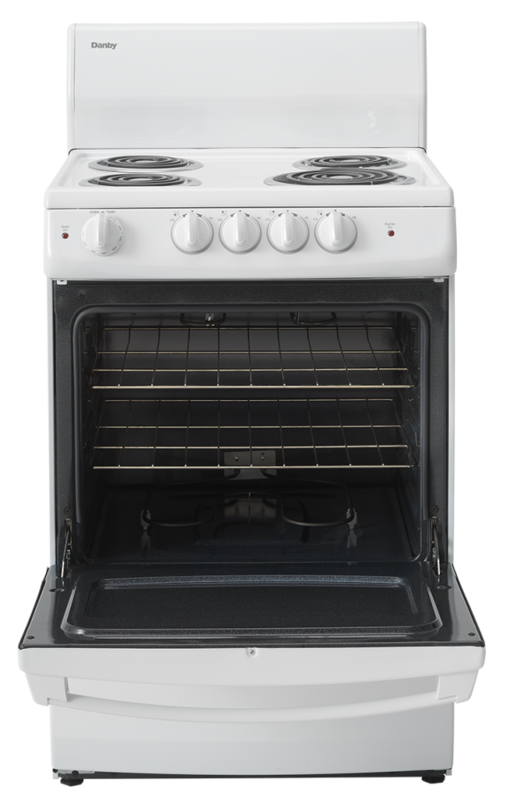 The trendy model offers 3 cubic feet of oven space with a temperature range between 250°F and 550°F as well as a 2,400-watt broiler function. It also comes with three six-inch and one eight-inch coil elements for all of your cooking needs. 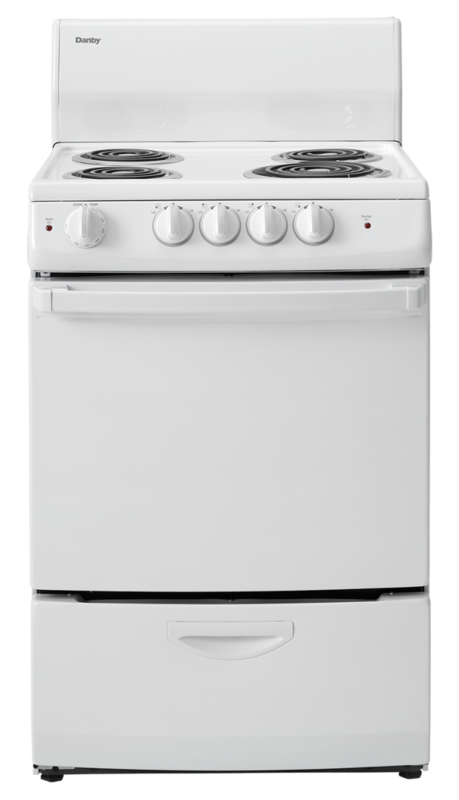 The range features push-and-turn knobs for added safety. The smart lift-up cooking top is constructed with easy-to-clean porcelain with a spill-proof lip and there’s also a large backsplash to prevent food residue from getting onto walls. In addition, this popular manual-cleaning range boasts two sturdy oven racks with four adjustable positions and safety stops. You truly cannot go wrong with this range as it also offers a 12-month warranty on parts and labor with handy in-home service.